Mount Faber is Singapore’s third highest hill and an ever-so popular tourist destination. Originally named Telok Blangah Hill, in 1845 it was renamed in honor of Captain Charles Edward Faber of the Madras Engineers. 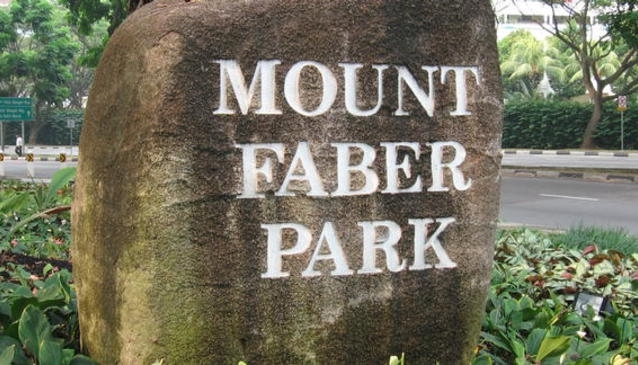 Captain Faber had built a narrow road to the summit of the mountain in order to install a signal station and flag military operations to Sentosa Island. You are able to take a cable car to Sentosa Island from the park and relish in the panoramic view of the southern part of Singapore. With several lookout points to enhance those already stunning panoramic views of Singapore this is a must-see. A beautiful mural with scenes of Singapore history can be viewed from the Upper Faber Point, which is the tallest point within the park. Because Mount Faber is covered by a secondary rainforest the vegetation from the slope stabilizes the beautiful terrain.